Building many websites and have a mess in Webmaster's panel? 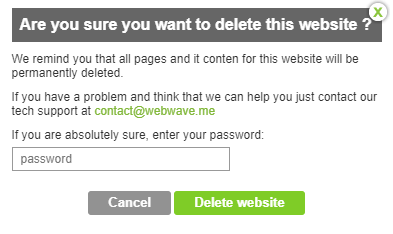 In website builder WebWave you can easily delete unwanted websites. 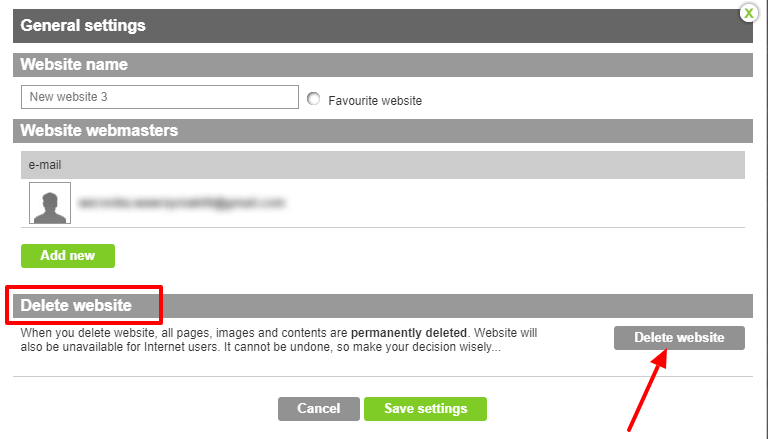 In order to delete a website, go to Webmaster's panel or the builder and select General Settings. In the new window select "delete website". You will be asked to enter your WebWave password. We want to make sure that it is you, not somebody who uses your computer when you are logged in. It is also the last chance to think whether you will need this website ever again. If you are 100% sure that you won't, enter your password and delete the website.